You may not distribute any of the resources contained in Alton's archives unless given explicit permission to do so. If you are looking to translate Alton into a language other than English and host it on your own site, contact me via PM, I'd love to help. You are allowed and fully encouraged to make Alton itself your own playground. Want a house in Alton? Feel free to make it and share it with the community! I'll post any links to Alton-based mods on the front page. If I left anyone out, I apologize- FO3Nexus reset my credits after the site upgrade of April 2012. Freddy Farnsworth - the one... the only... bug exterminator! Like Alton? Want something that is roughly 11 times larger, with all of the choice-making goodness of Alton and more? Check out my current work in progress, Ethas: Embrace of Destiny! Hey all, community member onowrouzi has gone through and revoiced several of the characters in Alton! I know one of the largest complaints is that the voice acting isn't quite up to snuff in many places (you're right! ), you can download his revoicing project here! Patch 2.0 released! This is our final update, folks, and man, has it been a crazy ride. 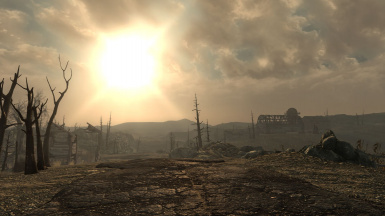 I'd like to personally thank the Fallout3Nexus community for the amazing support they've provided over the past year and a half since release, and as I've said elsewhere, thank you to Freddy Farnsworth for all that you have done over the past few months. I am glad that you all joined me on my first tentative journey into modding, I can't possibly have imagined that Alton would have generated this much buzz. Here's to the future, as Ethas awaits! Patch 1.07 released! Thanks to freddy_farnsworth for his awesome work fixing most of Alton's bugs. Check the version history for more info. Alton is now available in Italian as well, thanks to local Nexus member Fexter. The link is in the mirrors section. Alton is now available in French, thanks to a large team from the site La Confrérie. Thank you to Crisis2033 for contacting me about the translation, and thanks to him and his colleagues for their hard work. You can grab it here. Patch 1.06 released! The main focus is more audible voices, alongside some minor bug fixes and a feature that I forgot to include in the original releases and updates. Download away! Alton is now available in Russian, thanks to Candlemass! Grab it here. Patch 1.05 released! Yes, it took quite a long time, and I apologize, but it should fix Alton's major issues. Check the version history for more info. To reiterate what I've said in the comments, I am still working on the next patch. There are a few problems (i.e. Robert and Stephen/Hartrick not spawning correctly) that are giving me trouble. I appreciate your patience! To anyone experiencing stuttering or freezing when loading new cells, try the Purge Cell Buffer tweak. Thanks to BloodyBob96 for the tip! Patch 1.04 reuploaded. Accidentally uploaded 1.03 again by mistake. Sorry for any inconvenience! Patch 1.04 released! See version history, fixes a bunch of stuff with the Michael CTD being one of them. If you haven't yet completed the Belleview section of the first quest, do not download 1.03. It has a crashing issue that is being fixed in 1.04. Patch 1.03 released! See version history, fixes a bunch of stuff. So in 3 short days, Alton has become File Of The Month for the month of October. Thanks for the support guys! You all rock! 1.03 will be released sometime this week. I want to wait to hear about as many bugs as possible before releasing, as this daily release system is not working for me. Hiring anybody willing to get object LOD working! Contact me for more info. To anyone using the .esm version of Alton (i.e. update 1.02 or up), rename the folder "Data/Sound/Voice/Alton, IL.esp" to "Alton, IL.esm". This will fix any voice issues with the .esm update. (10/29) PATCH 1.02 RELEASED. Check the Version History for more info. (10/28) PATCH 1.01 RELEASED. Check the Version History for more info. (10/28) And we're on the hot files! Thanks everybody for the endorsements! "I can only imagine the work you have put into this... Alton, Illinois. 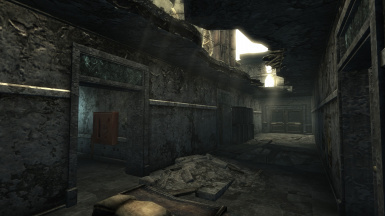 Alton, IL- a two and a half year project started in March of 2009, and most likely the largest Fallout 3 mod to date. Alton was created by Elijah Houck, alongside a team of numerous and indispensable voice actors (including DarkSpace (Nathan Mubasher) among others), resource creators, beta testers, and even our own composer, the talented Justin Hardin (aka jhardingame). Alton, IL features an expansive and highly immersive quest in which you not only try to find your way home after ending up in my imagining of post-apocalyptic Alton, Illinois, but also choose sides at the brink of all out war between two factions. 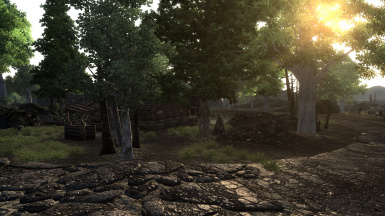 During your stay in Alton, prepare to be sucked into the lore as you play through the branched main quest, an adventure that will have you choose which faction you will side with for the rest of your stay. Will you side with the Plague, a group of damned vault dwellers seeking revenge, or will you fight with the Underground Railroad, the largest city in Alton? 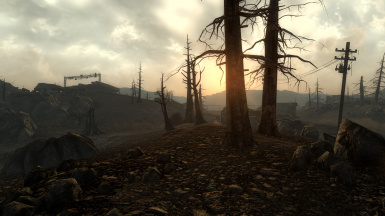 Alton, IL also includes numerous side quests, dozens of new locations to visit, and a fully explorable world twice the size of Point Lookout, completely separate from the Capital Wasteland. Alton is also easily replayable, thanks to the split halfway through the main quest. 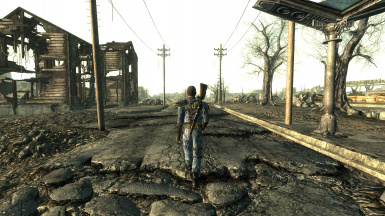 Alton is NOT a total conversion, it is seperate from the Wasteland. 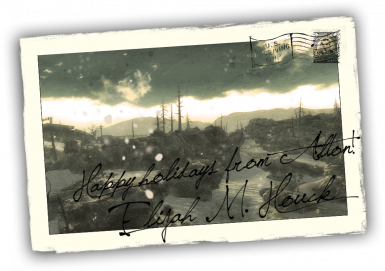 Think of Point Lookout, where you travel there whenever you want. 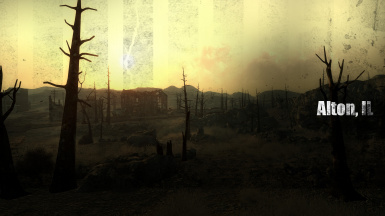 For you fellow modders out there, see this as a new world for you to expand upon. Running out of space in DC for house mods? Feel free to renovate a ruined ranch house and release it as your own mod. Got a cool idea for a farming mod? There's a cornfield in Alton with 2,880 hand-placed dead corn stalk models (I'm not kidding). I only ask that you link to this page and credit me as the author of Alton. Feel free to send me links of what you've created, I'd love to try it out! Alton is something I have been extremely passionate about and has been a huge part of my life for the past two years. I'm overjoyed to finally release it to the public, and am always open to suggestions. Please report any bugs found, but make sure to check for any known incompatibilities or bugs here before commenting. Extract the contents of the .rar to your Data folder, which is inside of your Fallout 3 installation folder. 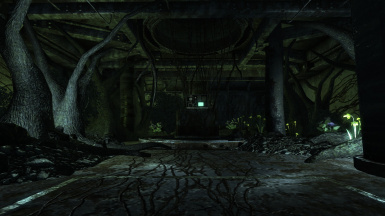 By default, this is located at C:\Program Files\Bethesda Softworks\Fallout 3\Data. If asked to merge folders, check off "Do this for all current items" and click Yes. If asked to overwrite (which should only be in the case of updates), follow the same procedure. 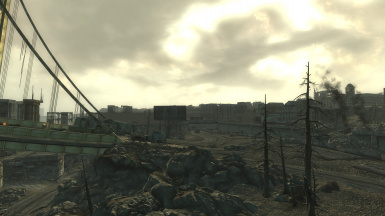 When you load the Fallout 3 Launcher, make sure you activate BOTH Alton, IL.esm and AltonAddon.esp. As of version 2.0, all major issues have been fixed. Feel free to comment on our file page if you find anything major. Any mods that have companions will likely not funciton properly within Alton, simply because there is no method of telling every companion to travel with you. I recommend that you leave your companions in DC - whether you fire them or simply tell them to wait, it's up to you. You can try bringing them along, but it is not supported. Death Canyon v3 adds new terrain to the area where you return to the Wasteland at the end of the mod, causing you to clip through some rocks and get stuck. Either disable the mods or type "COC Vault101Exterior" if this happens. Fixed a graphical issue with LOD meshes in the northeastern corner of Alton. Because of how many things were fixed, I'm not going to paste them all here. Check out the readme included in Version 2.0 for the fixes. Thanks to Freddy for the time he spent finding (and fixing) just about all of Alton's known bugs! Many unnecessary forms removed via FO3Edit.Hartrick's tent accidentally replaced a vanilla cell, Isolated Camp, in the Wasteland, that is fixed in this patch.Commander Atkins now properly sits. Previously he would occasionally stay standing during the intro sequence.Dialogue fixed when entering New Godfrey during A Dashboard Farewell.The shooting CTD that happens during the final scene in the final assault quests MIGHT be fixed.Minor texture path issues fixed on the destroyed trailer park mesh.Stephen's armor is now playable.Invisible water fixed near New Godfrey.Minor seam between two quads of a cell near New Godfrey smoothed out.Fixed Give it a Good Mopping's quest arrow.Triggers at the Windswept Camp now properly disable after use.Hartrick's dialogue fixed- no longer shows "HartrickMain. "Friend for the Needy now works properly.Navmesh finally fixed when NPC's run to the garage.Jared's door is now set to inaccessable during the final assault.Hartrick's security card now properly unlocks the security terminal during Double Agent.Quest updates should now show properly during Double Agent.And quite a few more minor fixes! Remastered the voices of the majority of the cast to be more audible and have less static.New voice actor for Jack Yearlen.Fixed a rare (but problematic) bug in which you could have both quest lines active at once by activating the Food Storage in the Underground Railroad with the UR questline started.Michael Douglas and Hartrick should no longer initiate combat after entering the Underground Railroad for the first time.Finally added in (after forgetting to do so before release and through multiple patches) the ability to retrieve Hartrick's minigun, the Mutilator, after completing "Like Rats in the Walls." Use Hartrick's terminal to disable the force field and retrieve the Mutilator. Found where Michael's failure to recognize Hartrick's response was. Friend to the Needy should work better.Fixed the crash when talking to Michael Douglas after retrieving your gear.Fixed Michael Douglas's inability to run to the Underground Railroad. (thanks, moirai! )Fixed issues with Super Mutant Captives spawning too early during "Finding Godfrey, leading to weirdness later in the quest.Changed the way "Finding Godfrey" recognizes the Captives being freed and/or discovered dead. In previous updates, you had to activate the dead captive, but in this one, you simply have to walk into the same room as him.Fixed many Navmesh errors in the Alton exterior. Many Navmeshes were left unfinalized before release, but most should work fine now.Fixed the Nuka Cola Truck giving you caps repeated amounts of time, leading to an exploitable infinite caps glitch.Hopefully fixed Robert and Stephen/Hartrick moving to the garage correctly in "A Dashboard Farewell" (see Known issues for more info)Godfrey Settlers are all correctly named such (one was mistakenly named "Megaton Settler")Fixed a couple of spelling issues among the Plague forces. Hopefully FINALLY fixed issues with "Give it a Good Mopping""Smaller Shovel, Smaller Hole" necklace issues fixed. "Friend to the Needy" may be a bit weird, but it's getting better. I haven't had time to get to a save close enough to his quest.Fixed many interior issues.Fixed many of the doors to nowhere (i.e. opened up to the void)Fixed problems with quest markers not updating on some quests.Fixed key problems in multiple quests, specifically Vault 59 quests and "We Aren't in Kansas Anymore. "Fixed Godfrey captives spawning too early, which would confuse the quest "Finding Godfrey" after killing the Mutants.Removed the "Build Number" quest that was accidentally carried over from development.Many misc. fixes. Simply switches it to an .esm for support of mods. Hopefully fixed issues with "Give it a Good Mopping"Should fix the quest target not showing when initially loading Alton. "Give it a Good Mopping" and "Friend to the Needy" fixesFixes the Plague Commander Armor not showing.When moving too close to the Dulles International Airport's map borders, you will no longer get stuck.Fixes "Double Agent" quest not updating when grabbing the security pass.Fixes a few issues with quests not failing when either their owner is killed or certain sides are chosen.Should fix the Plague guard that is alongside Stephen in "Finding Godfrey" waiting too long to knock you out.Found an unfinished cell, AltonBellStrApartments01, and finished it.Fixed my complete failure in mispelling the word "forest". I need to go back to the second grade. Fixed Atkins not saying the correct lines if you choose to wait to leave.Fixed Michael not saying his lines properly in some cases.Added extra lines to Hartrick, so that he repeats where the conductors are located if talked to.Fixed the quest marker not updating when going to fix the conductors.The door to Vault 59 is now locked before being captured to prevent movement errors.